A bachelor named Reed took up land in the early 1850s and built a substantial one story-and-a-half log house that became the Butterfield station in 1858. In the early 1860s Reed sold the property to Charles Johnson. After Johnson passed away, his widow ran the station for several years. During that time it was referred to as Rancho La Viuda, (widow). 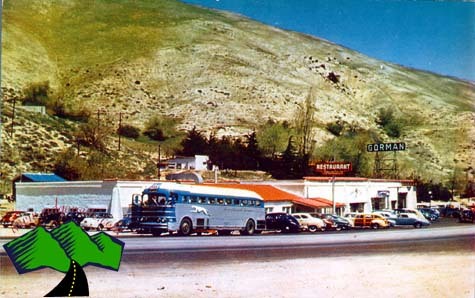 Mrs Johnson sold the station to Don David Alexander. Alexander was a partner of Phineas Banning in operating a stage line between Los Angeles and San Pedro. Alexander sold the place to Gorman. James Gorman Sr. was a veteran of the Mexican War and had been at Fort Tejon hunting fresh meat for the soldiers and laborers while the Fort was being constructed. Oscar Ralphs of supermarket fame purchased the Gorman Ranch and old log station house from Mr. Gorman in 1898. 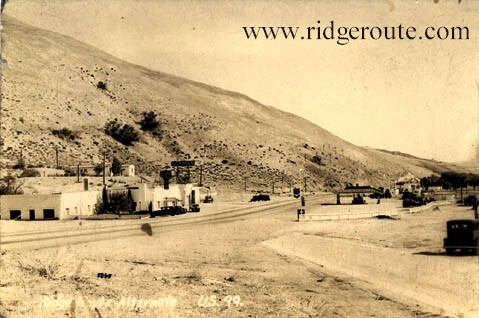 During the old Ridge Route days, circa 1926 Gorman was a small settlement having a store, garage, cafe and Standard Oil gas station.